Two new pages of note include one exploring records relating to the soldier riots in Liverpool and Sydney on 14 February 1916, and another which looks at the role women played in patriotic fundraising activities in NSW. A selection of records have been added to our Everyday Life in Wartime NSW section. The topic of holidays, commemorations and celebrations includes examples relating to Christmas, Empire Day, Anzac Day, and other events and celebrations, many of which have not been viewable on our website previously. Several new webpages have recently been added to the site. efforts, which are the first pages to cover this topic (with more to come). Additionally, three (c.1915) printed booklets relating to the development and settlement of the Murrumbidgee Irrigation Area (MIA), can be viewed in full via the Wartime Posters & Publications page. 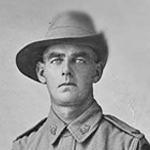 The online index, NSW Government Employees Granted Military Leave, 1914-1918, was recently updated to include 602 new names (including 341 names from two newly-added agencies), as well as additional information for 716 names from agencies previously listed. There are currently approximately 10,000 individual names included in the list. Including multiple entries there is a total of 13,735 entries taken from a variety of records and resources. 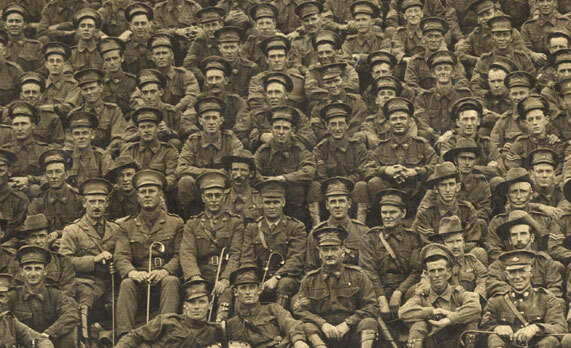 Search the index for over 10,000 WWI-period NSW Government employees. Our exhibition Public Service / War Service, currently on display at the Western Sydney Records Centre, has been extended until 30 September 2016. Drawing from the State archives, the exhibition honours 11,000 NSW government employees who volunteered for military service overseas during World War I, and those who fulfilled essential services at home. New exhibition-related content that furthers the links between public service and war service will be published on the NSW Anzac Centenary website in the coming months. Tuesday 20 October 2015 – John Cann will be presenting this talk as part of the Australian History seminars course offered to the Sydney University of the Third Age at Hornsby Library. 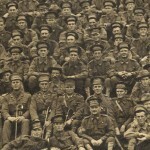 Monday 7 September 2015 – Come along to hear about the NSW Government’s role during the Great War and records giving an insight into life in NSW during the war years. Hear about the military horse census and records relating to Gallipoli and Anzac Day, the contributions made by Government employees who went to war, including those who didn’t return, those who survived and what happened to them afterwards. Follow this with a guided tour of the Public Service/War Service exhibition. Our current exhibition honours the 11,000 NSW government employees who volunteered for military service overseas during World War I, and those who fulfilled essential services at home. The exhibition tells stories of public service and war service, pieced together through research in the State archives. On display at the Western Sydney Records Centre until 2 April 2016.